For most people, the hardest part of lasting weight loss is either getting started or reaching their goals-too often, motivation is tough to maintain or those final few pounds simply won't budge, no matter how many hours are logged on the treadmill and how many calories counted. Now, from the New York Times bestselling author of The Body Reset Diet, comes a deceptively simple plan to slim down-whether you to need to shed those last few stubborn pounds or want to jump start a more significant weight-loss effort. - Walk 5 miles a day. - Eat protein and fiber 5 times a day. - Do resistance exercise 5 minutes a day. - Sleep at least 7 hours a night. - Unplug at least 1 hour a day. Readers will enjoy immediate results-dropping 5 pounds or more in just 5 days-and boost energy, improve overall health, and finally achieve long-term weight-loss success. With step-by-step advice, easy-to-prepare recipes, and motivating success stories, 5 Pounds will transform the way readers look and feel forever. 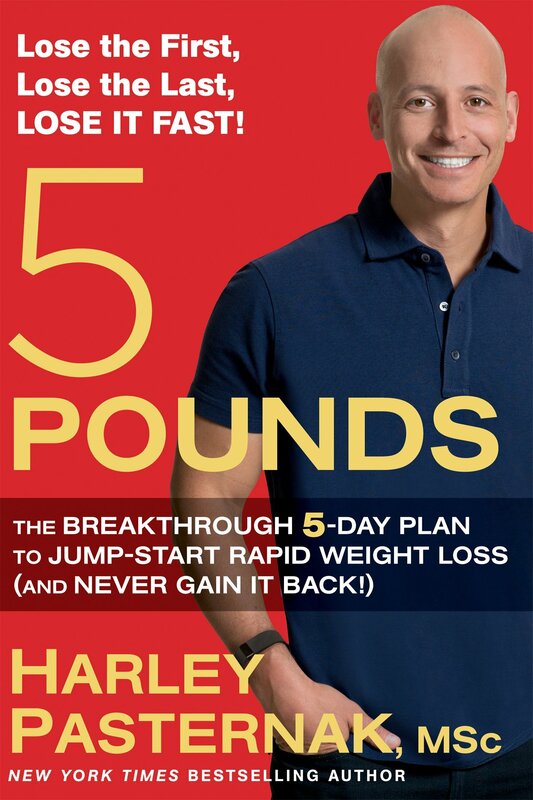 Harley Pasternak, MSC, is a renowned fitness and nutrition expert and the bestselling author of The Body Reset Diet, The 5-Factor World Diet, The 5-Factor Diet, and 5-Factor Fitness. He appears regularly on ABC's Good Morning America and has appeared on The View, The Oprah Winfrey Show, The Today Show, Access Hollywood, Extra!, Entertainment Tonight, The Rachael Ray Show, and America's Next Top Model. He blogs for People.com, AOL.com, and the Huffington Post and has been featured in numerous publications. He lives in Los Angeles.